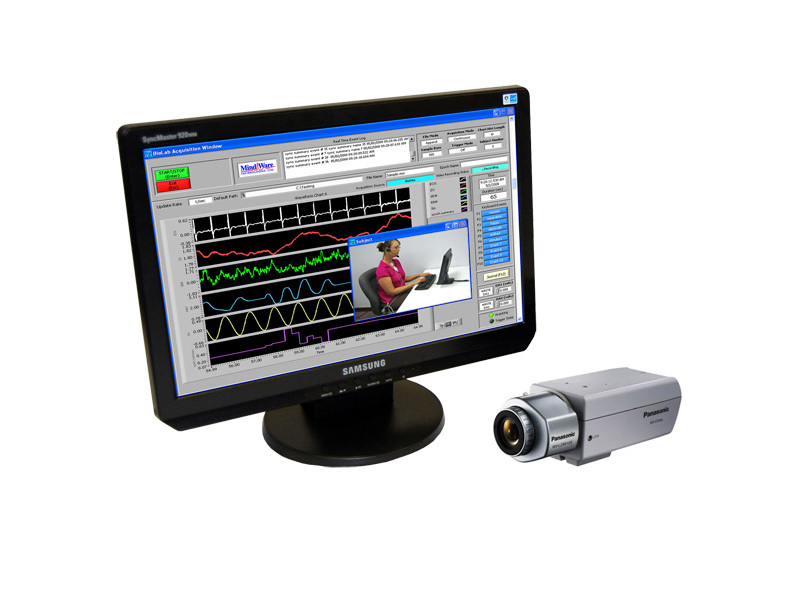 The MindWare Standard Lab Video System provides the capability for video monitoring using a high-fidelity fixed color camera(s). The fixed camera offers a manually adjustable zoom lens. Multiple cameras may be mixed into a single image using an optional screen splitter or picture in picture inserter. Video data is recorded onto a commercial grade digital video recorder with onboard hard drive and DVD burner. An LCD multimedia video monitor is included for display and audio playback (when used with the MindWare Standard Audio System).